OnePlus One was launched in June 2014, and it came in with a 5.5-inch display, LTE connectivity, 3GB RAM, 64GB internal storage, and a 3100 mAh battery. The phone was launched with the tagline “Flagship Killer” as the price was one of the best for the specifications that were offered at that time when only the top brands had their phones sold at much higher prices. 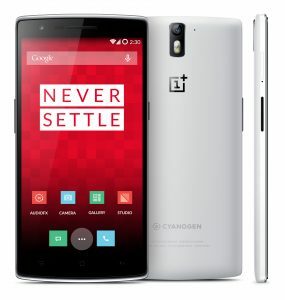 The OnePlus One was available in Sandstone black and Silk white variants, both of which offered a different build and feel, adding to the USPs of the phone. The OnePlus One has a Full HD display and it runs CyanogenMod ROM over Android OS. Check below for the full specifications of the OnePlus One. The Flagship Killer phone was among the best in the launch year and it could well challenge every flagship. OnePlus One had a good 13-megapixel camera and a Full HD display.